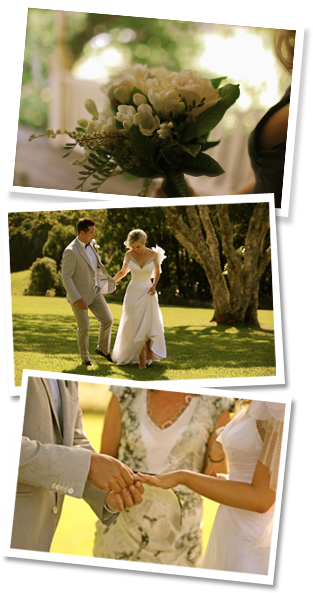 Jill, we cannot thank you enough for the beautiful ceremony you delivered for us on our wedding day.it was everything we wanted -meaningful but relaxed!! We also want to thank you for all the time you spent with us answering all our questions and getting to know us to personalise our ceremony. We won't hesitate in recommending you! Thank you so much for sharing our special day with us. A massive thank you for the amazing ceremony! Your patience, support and thoughtfulness made it perfect for us and we could not have asked for it to go any better. We are still getting comments on how good it was. We would like to thank you for doing an absolutely magnificent ceremony for us. We had people comment on how beautiful it was and how lovely you were! Thank you! Thank you so much for your wonderful ceremony it was so relaxed, and Matt and I were so happy with how it all went, and a lot of guests said how wonderful the ceremony was thanks to you! Thanks again for making it such a beautiful day! Don and I just wanted to thank you for making our day so special. You were just wonderful and we were privileged to have you for our wedding. We cannot thank you enough for all the assistance you gave us for our wedding. It was our dream day and the ceremony set the scene for an amazing celebration. We love the choices and the help you gave us to personalize it. You put so much warmth and personality into the ceremony. Thank you so much. Jill performed our wedding ceremony and we could not have been happier. A few people who were at the service asked us for her details as they were so impressed. She even teared up with us when it all got emotional, which was a lovely touch. We knew we wanted Jill after meeting her for 5 minutes. She is thorough and very professional, but with a personal touch...she is just a nice person to deal with. We wrote all our own vows and ceremony, but Jill gave us a huge pack of examples to work with. Our wedding was also on the beach, and she was more than accommodating and experienced in this type of wedding. Jill was no fuss and easy to deal with. Most of our correspondence was via email, which was really helpful as we do not live near Sorrento. She a fantastic celebrant and I highly recommend her. She made our wedding ceremony beautiful. Web Design by Big Picture Group © Jill Wilson 2019. All Rights Reserved.